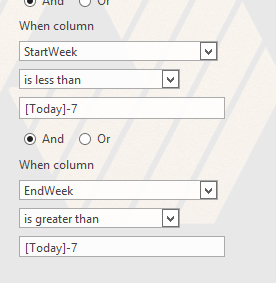 But when I use something like '=WEEKDAY([Today])' in calculated column I get errors. Somebody did something like this? Not the answer you're looking for? Browse other questions tagged list-view calculated-column-formula date or ask your own question. How to filter a view item by Publishing date?